We've walked a few blocks north to Szabadsag Ter, which is to say Liberty or Freedom Square. Baedeker uses the name, though barracks had just been cleared from the site and the freedom in Baedeker's time was definitely relative or conditional. 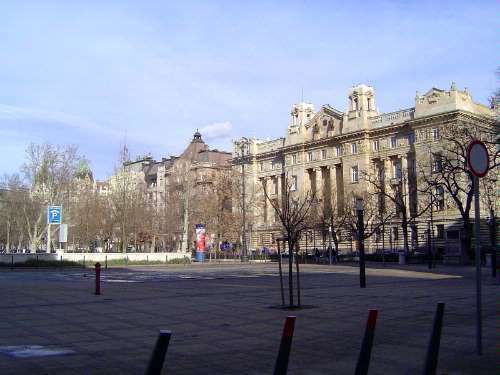 The building on the right is the Hungarian National Bank.